We at the website here, along with the numerous fans that visit us, have been speculating all summer that Paramount Pictures would eventually move the release date of the new Friday The 13th film out of the January 2017 date announced early this year as the film is still in development and seemingly close to going into production. We've heard Platinum Dunes is even currently scouting filming locations. With that being said, Deadline just announced Paramount is moving Friday The 13th officially to October 13, 2017. Will we finally see Jason Voorhees on the big screen once again next Halloween? There is a very good chance this is all going to come together very soon! 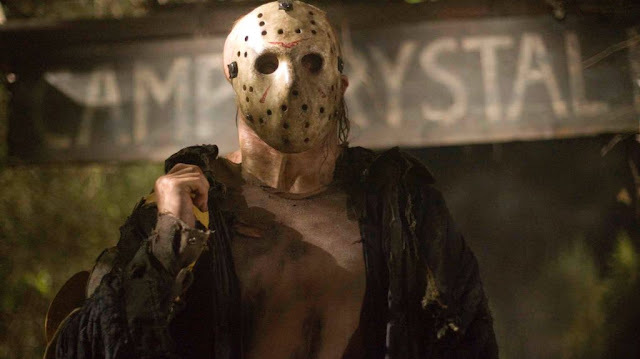 The next Friday The 13th film is being produced by Platinum Dunes (Andrew Form, Brad Fuller, and Michael Bay) from a script by Aaron Guzikowski and directed by Breck Eisner. The film is being distributed by Paramount Pictures.